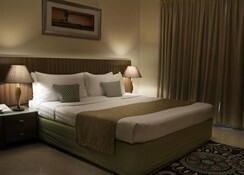 The hotel is situated in the city of Dubai and is just behind the Mall of the Emirates. It is close to some of the local attractions of Dubai- such as Sheikh Saeed's House- Dubailand (8.5 km)- the Grand Mosque- Tower of Arabs (Burj Al Arab)- Majlis Gallery- Magic Planet and Wild Wadi Waterpark (3 km). 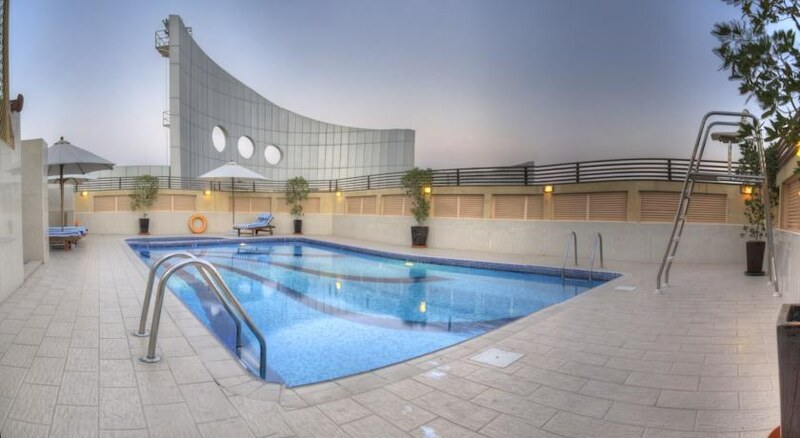 The centre of the city is approximately 12 km from the hotel and Dubai International Airport is around 22 km away.The air-conditioned apartment hotel in Dubai features 47 quality accommodation units and friendly service for guests to enjoy a pleasant holiday in Dubai. 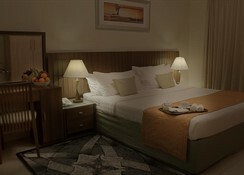 Facilities include a lobby- hotel safe- currency exchange facilities- lift access- a restaurant- conference facilities- room and laundry services- and a car park.The hotel consists of hotel apartments- all of which are extremely spacious- well-furnished and offer a range of modern amenities. 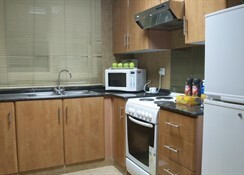 Guests will find a fully equipped kitchen in each apartment- perfect for business- long-stay guests or families requiring extra space. 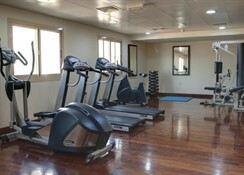 Each apartment features an en suite bathroom with bathtub- a direct dial telephone- satellite TV and air conditioning.During their leisure time- guests can work out in the gym or relax in the sauna. The Emirates Golf Club is approximately 5.5 km from the hotel.Guests can dine at the on-site restaurant- which serves a great selection of dishes in a friendly atmosphere. 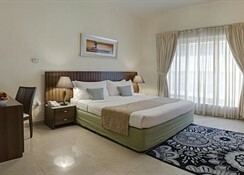 The air-conditioned apartment hotel in Dubai features 47 quality accommodation units and friendly service for guests to enjoy a pleasant holiday in Dubai. 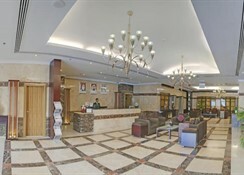 Facilities include a lobby, hotel safe, currency exchange facilities, lift access, a restaurant, conference facilities, room and laundry services, and a car park.